Xu Bing was born in Chongqing, China, in 1955, and grew up in Beijing. In 1975 he was relocated to the countryside for two years during the Cultural Revolution. In 1977 he enrolled in the Central Academy of Fine Art in Beijing, where he studied printmaking. He received an MFA from the Central Academy in 1987. In 1990 he moved to the United States, and lives in Brooklyn, New York. Bing’s work has been shown in some of the world’s most prestigious museums. 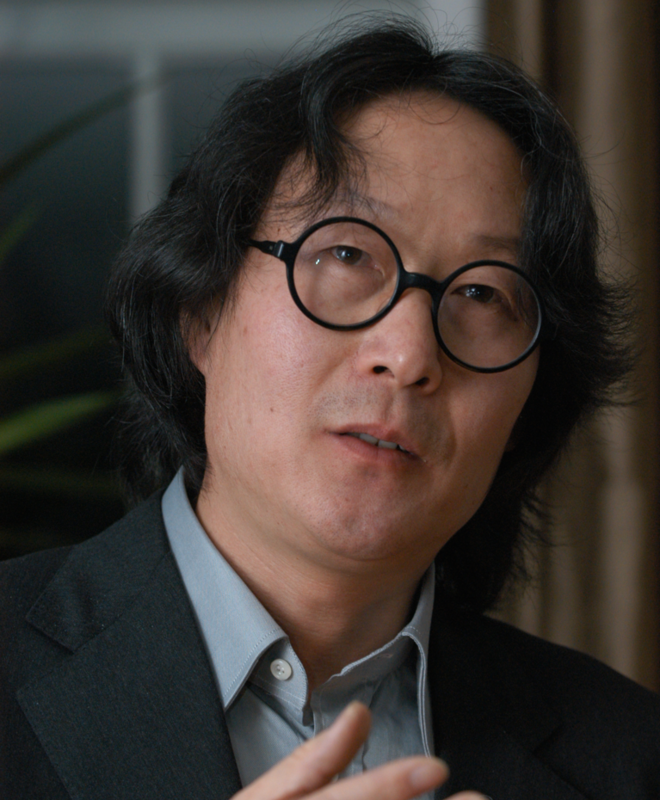 In July 1999, he won a MacArthur “Genius” Grant from the John D. and Catherine T. MacArthur Foundation, in recognition of his “originality, creativity, self-direction, and capacity to contribute importantly to society, particularly in print-making and calligraphy.” In 2003, he was awarded the Fukuoka Asian Culture Prize, and, in 2004, he won the first Wales International Visual Art Prize, Artes Mundi. In 2006, the Southern Graphics Council awarded Xu Bing their lifetime achievement award in recognition of the fact that his, “use of text, language and books has impacted the dialogue of the print and art worlds in significant ways.” Art in America listed Xu Bing, along with 15 others, in their annual Year in Review. Bing was awarded a Doctorate of Humane Letters by Columbia University in 2010.